Last night we stayed at Anders place in Malmö. Anders is part of Warm showers, a world wide community who host cyclists for free. Johannes, the cyklist in Eskilstuna who lends Forest his bike, is also part of this community. The setup is quite simple: you register a profile, write a bit about yourself and click in what you offer: bed, couch, coffee, shower, laundry etc. And your availability to host. Then people can see you as a pin on a map and click on you to find out more. So simple and so genius for those who travel on a budget or want to meet people and see the inside of cyklist homes of foreign places. 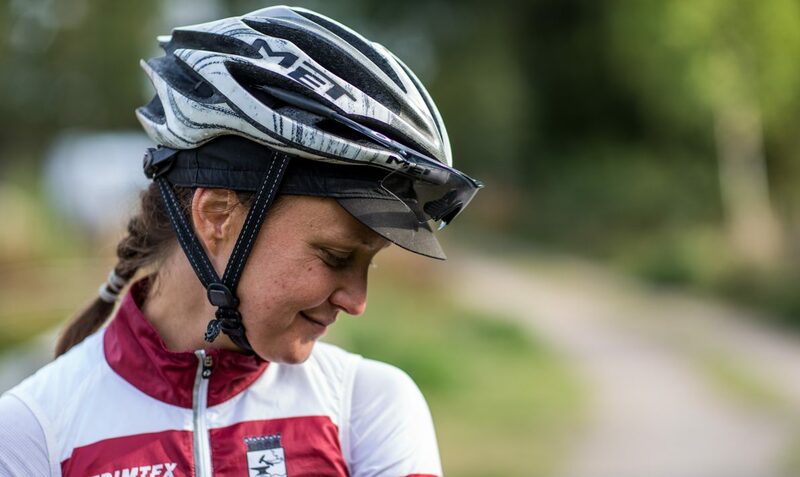 And to share cycling stories. Anders was my first warm showers experience. Forest made a deal with him and we biked to his place from the central station in Malmö. He put our bikes away in a storage, gave us a tour of his apartment and showed us his bikes and offered a wonderful, spicy, veggie lasagna. Me and Forest indulged it, and we all talked about cycling touring. 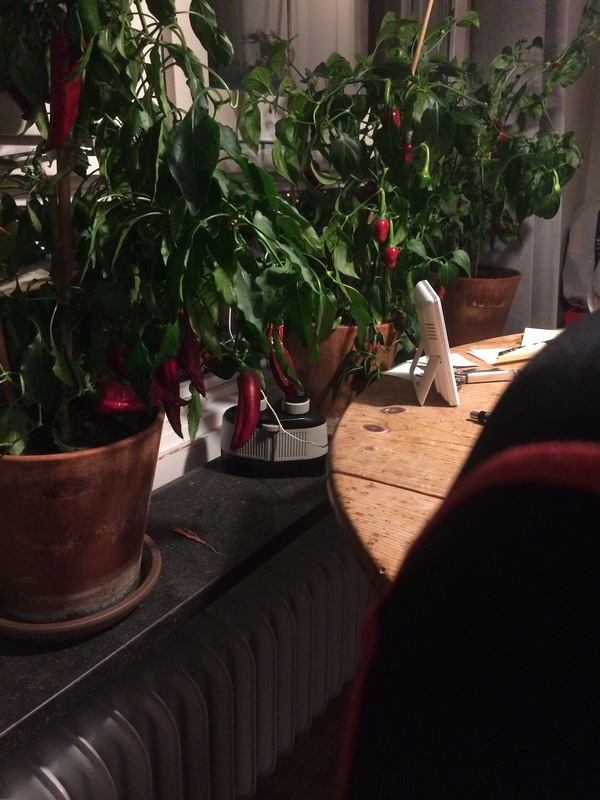 He showed us his chilli plants and I stalked his blog where he writes about his tours. One of the main issues of touring is of course the packing. While talking to Anders and riding my bike these days, Im starting to feel like packing it with camping gear and just go. I’m starting to realize that all of this is doable. Anders offered us a couch, a beautiful sunrise view from his 9th floor apartment and a wonderfully brewed, black and wanted coffee in the morning. If I were in the proper situation to host people this way, I would gladly do that!